If you read my goals for 2014, you’ll know that making time to be creative is a priority for me this year. 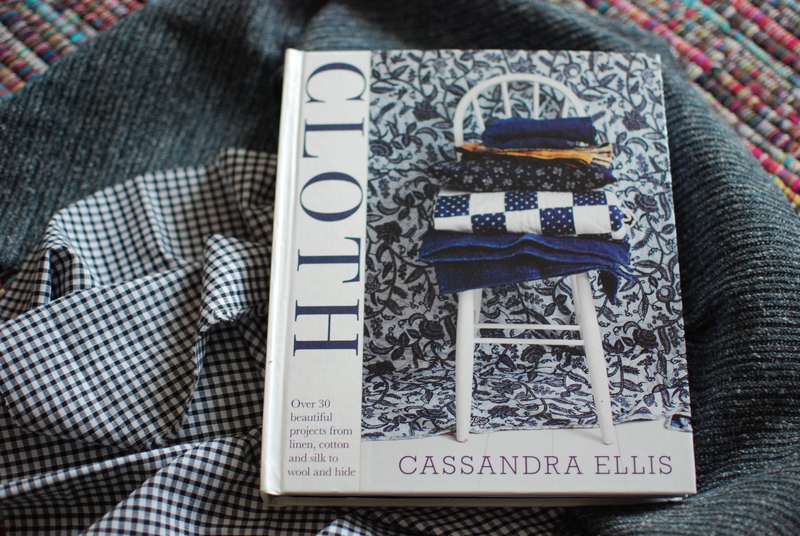 Clearly my mama thinks this is a good idea too, because she bough me one of the most beautiful books I have ever owned for Christmas: Cloth by Cassandra Ellis. Split into sections dedicated to different types of material, it talks about the history of fabrics and all the little details in their production, followed by simple and stunning ideas for using them. Everything is accompanied by the most beautifully styled photographs- I want to live in that book! It even has patterns in the back, so you can get making ASAP. It has completely reignited my love for fabric and making. So much so that I’ve been sewing like a demon every night after work this week because I couldn’t wait any longer to get started. I am so looking forward to showing you the end result. So, if you’ve been in a bit of a creative rut, or if you are interested in making things for your home and loved ones, pick this up. It is beautiful and such an inspiration.